Ambareesh was from the Mandya district Karnataka and went on to represent the area in parliament. Ambareesh, noted for his work in Kannada cinema, died at an hospital in Bengaluru. 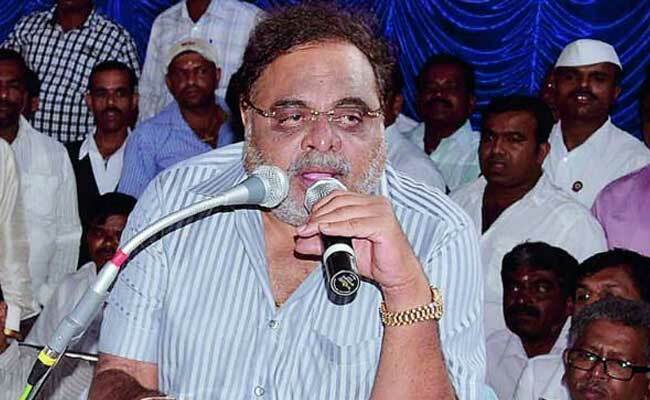 Kannada actor-turned-politician Ambareesh died in a private hospital in Bengaluru on Saturday evening following a heart attack. He was 66. Ambareesh was known as the 'Rebel Star' and had a huge fan following at the peak of his popularity. He started his career in 1972 with negative roles before becoming a leading man. Ambareesh was from the Mandya district Karnataka and went on to represent the area in parliament. He had been a minister in Prime Minister Manmohan Singh's government. He was also a legislator in the state assembly but had been dropped from the Karnataka cabinet in the Congress regime that preceded the current coalition government. The Karnataka government has declared a three-day state mourning and said his funeral will be held with full state honours. Chief Minister HD Kumaraswamy said his body will be kept at the Sree Kanteerava Stadium in Bengaluru for people to pay their last respects. Condoling the death of the actor and veteran Congress leader, Mr Kumaraswamy called him a rebel who was loved by all. Special buses have been arranged from all taluks of Mandya district to ferry people who want to pay homage to the actor. Often referred to as "Mandya da Gandu" (Man of Mandya), Mr Kumaraswamy said "We have to build a memorial for him there." Deeply shocked and saddened to hear about the untimely death of my beloved friend #Ambareesh. In his death, an era of love and affection in the Kannada Film industry has ended. With Ambarish I enjoyed a friendship that went beyond political affiliations and films. In more than a four-decade-long movie career, Ambareesh has acted in over 200 films. He started his career with film "Naagarahaavu" (king cobra), directed by legendary filmmaker Puttanna Kannagal in 1972. He also earned critical acclaim for his acting in films like Paduvarahalli Pandavaru, Masanada Hoovu, Elu Suttina Kote, Shubhamangala, Antha and Masanada Hoovu. Ambareesh had recently mediated in a sexual harassment case in the film industry in which an actress accused actor Arjun Sarja of inappropriate behaviour amid the #MeToo movement. Crowds immediately began to gather at the private hospital in Bengaluru as news of his death spread. Senior politicians and fellow actors also headed to the hospital to pay their respects. Former Chief Minister Siddaramaiah tweeted condolences. He said that the rebel star was not only a great actor and a proven politician, but also a great human being. Superstar Rajinikanth too was among those who condoled his death. "A wonderful human being ... my best friend ... I have lost you today and will miss you ... Rest In Peace #Ambrish," he tweeted.